Hire Torque have all the tools you'll ever need for your job. 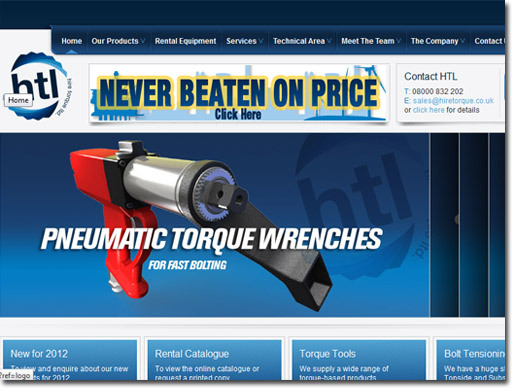 Check out their selection of hydraulic cylinders and hydraulic tools or order a nut splitter. Hire Torque sell torque wrenches, hydraulic jacksm torque multipliers and more. Visit their shop to see the latest deals. UK (Blyth, Northumberland) based company offering DIY tools for sale. Website includes catalogue of products and services, detailed "meet the team" section, full company contact details.